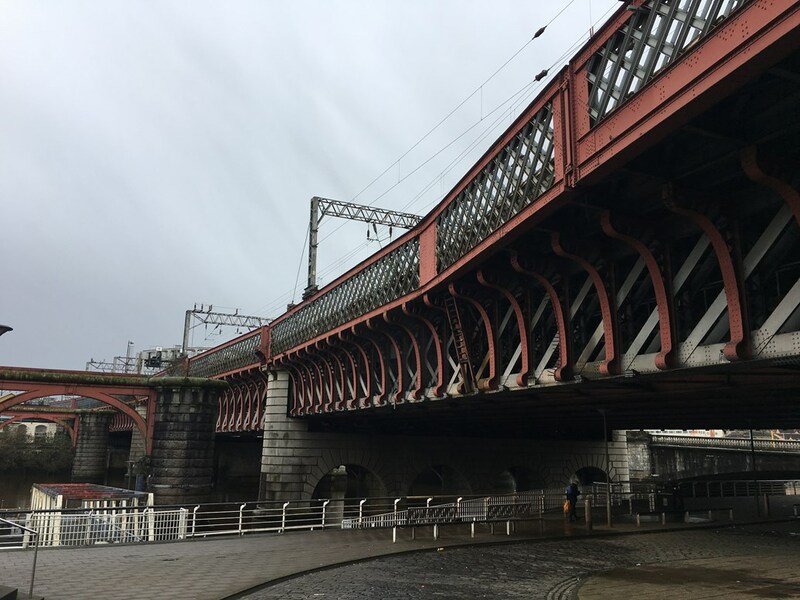 A two-year renovation project on the landmark railway bridge over the River Clyde on the approach to Glasgow Central is set to get under way, Network Rail has announced. ‘New Clyde Bridge’, which was built between 1899-1905 as part of the Edwardian expansion of Glasgow Central, links Scotland’s busiest station to the west coast mainline as well as routes across Lanarkshire, Renfrewshire, Ayrshire and Inverclyde. The A-listed structure will undergo extensive refurbishment and repair works worth £13 million with engineers blasting off old paint, inspecting and repairing the steel beneath, before repainting the bridge in its existing colour scheme. The renovation of the 200m-long bridge will be delivered by Taziker Industrial, which recently completed £75m restoration of the Tay Bridge on behalf of Network Rail. Matthew Spence, Network Rail’s route delivery director for Scotland, said: “The New Clyde Bridge is one of the hardest-working structures on our railway – carrying nearly 1,300 trains each day to and from the country’s busiest station. “The work we are doing will ensure this landmark bridge can continue to play its vital role in keeping Scotland’s railway moving for decades to come. “The Network Rail team with main contractor Taziker have vast experience in restoring some of the country’s most recognizable railway bridges including full refurbishments of both the Tay and Findhorn bridges over the last few years. Paolo Benedetto, group managing director, Taziker Industrial, said: “Taziker Industrial is delighted to have secured the contract to refurbish the Clyde Bridge in Glasgow. In the past 10 years we have worked closely with Network Rail in Scotland to successfully deliver a number of refurbishments of key structures and contribute to the continued smooth and consistent operation of Scotland’s rail network. The bridge, which is also known as the Caledonian Railway Bridge, will be refurbished in stages with engineering work starting at the south (Tradeston) side of the river later this month. Each section of the bridge will be scaffolded and wrapped in special encapsulation material before an engineering survey is carried out to identify those parts of the steel structure in need of repair. The old paint will then be grit-blasted off, metal repairs carried out and new paint applied. The encapsulation material, which has also been used on the Tay and Forth bridge refurbishment projects, will ensure dust and debris from the work remains inside the work-site and does not contaminate the river below. Work will be delivered without disrupting the 1,300 trains which cross the bridge each day and the project is due for completion by December 2020.